Deezer is making high fidelity listening even more accessible with its new integration with Samsung. 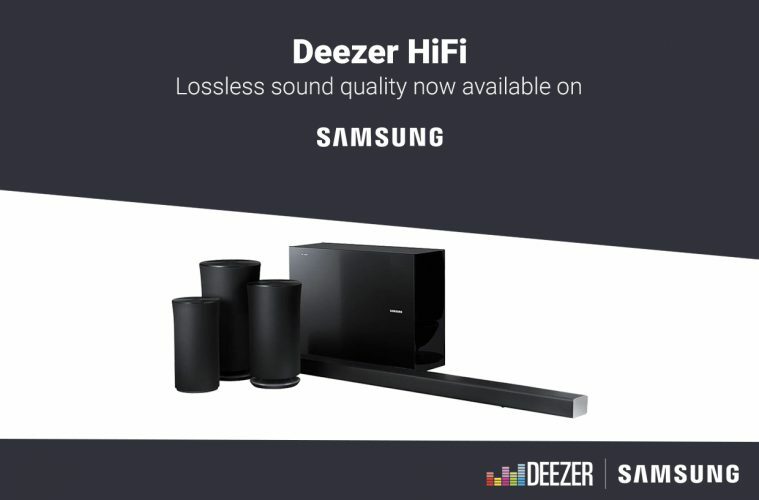 Starting today, all music fans with Deezer HiFi and selected Samsung Soundbars or Wireless Speakers will be able to listen to their music in CD quality sound. While regular streaming compresses music and compromises sound quality, Deezer HiFi streams music at 16-Bit/ 44.1 kHz in lossless audio. This ensures the highest sound quality, perfect for dedicated music lovers that want to hear every single part of the track from start to finish. Deezer HiFi users have unlimited access to 36 million HiFi tracks in over 180 countries, with the service now available to Samsung users with a compatible wireless device. Starting today, all eligible Samsung Soundbars and Wireless Speakers in the UK will come with free six months subscription to Deezer HiFi worth €120. Next ArticleWorld Emoji Day: Play the Google Emoji Scavenger Hunt!